Yesterday I headed to shoot a 2012 Lexus GS350 F Sport, when I randomly saw my friend Paul. His car is... distinctive. He joined me as we headed into downtown Houston to get some downtown shots while the sun was still relatively high in the sky. When we set out for a different location we got stuck at a train crossing. The dusk light was perfect and fading fast, so rather than wait behind the train, I turned around and stopped at a nearby industrial loading dock to get some shots of the Lexus. 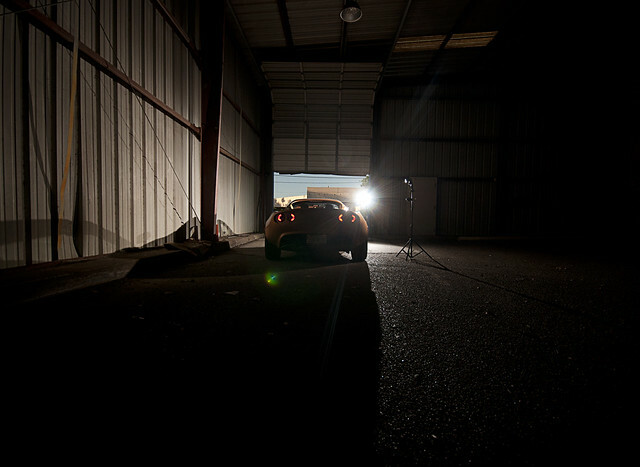 While I set up some stuff and started snapping away, Paul drove his car under the open door of a small warehouse thing, and we grabbed the lights and turned the camera towards his Elise! 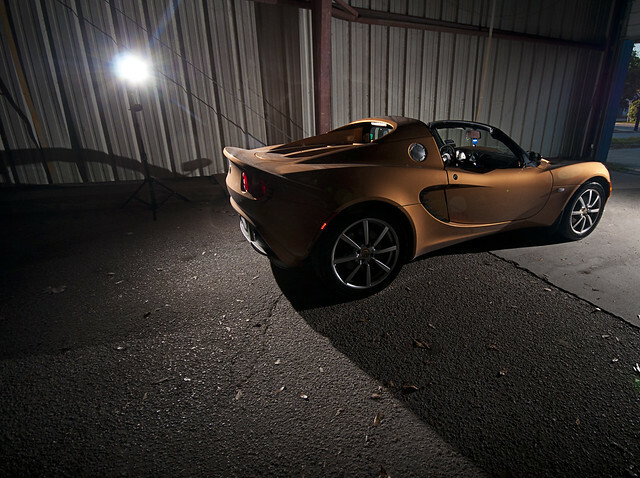 It's a 2005 Lotus Elise in Aztec Bronze, which is both striking and unusual up close. 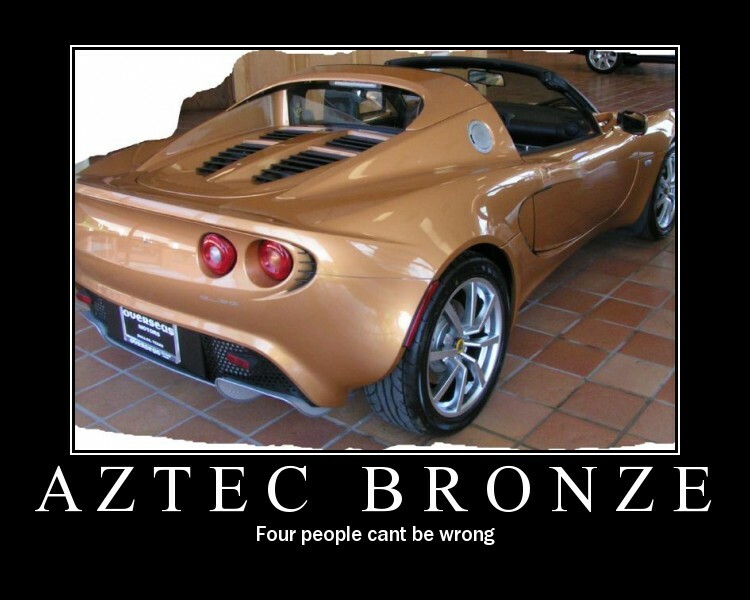 No word if it was deliberately limited or demand limited, but this comes up when you do an image search for "Aztec Bronze." Paul seems pretty convinced there are only about 8 of them in the US. 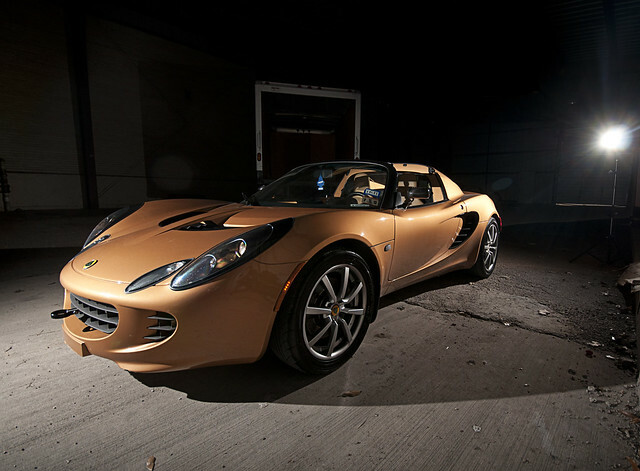 I've wanted to do a proper shoot with an Elise for forever. It's just perfect, it photographs so well and has so many incredible surfaces and details. It looks like it's from another planet. We did these shots in about 5 minutes and minimal setup, since I still had to finish the Lexus images. One of these days I'll do the Lotus more in-depth, but this was incredibly fun.